The Road to the Horizon: News: Sudan - From the 1994 famine to five years of Darfur. What is the solution? 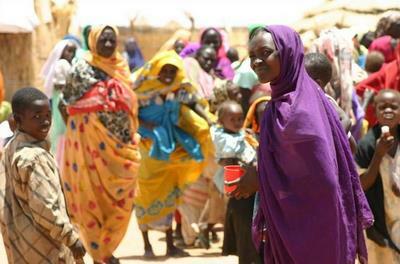 News: Sudan - From the 1994 famine to five years of Darfur. What is the solution? This photo by Kevin Carter won the “Pulitzer Prize” in 1994 and became a symbol of the Sudan famine at the time. The picture depicts stricken girl crawling towards an United Nations camp, located a kilometer away. The vulture is waiting for the child to die so that it can eat her. This picture shocked the whole world. No one -including the photographer- knows what happened to the child. Three months later Kevin Carter committed suicide. This was Sudan in 1994. We are now 2008. Five years into Sudan's Darfur conflict. The humanitarian situation is just as desperate. Maybe with less famine, but with just as much despair, as I wrote in several posts about Darfur over the past year. Many, including celebrities like George Clooney (watch his video diary), Mia Farrow (Pictures and video), Angelina Jolie (Articles), Steven Spielberg (Article) and others have done efforts to raise the awareness over the problems in Darfur. There are groupings like the "Save Darfur Coalition", an alliance of over 180 advocacy and humanitarian organizations representing 130 million people, and the Darfur Genocide movement. Amesty International created Eyes on Darfur. Numerous fundraising websites (like The Darfur Wall), campaigning, video advocacy and education , awareness sites and Online Info Centers were created. Musicians made songs like Living Darfur. And there is even a game (Darfur is Dying) created to advocate the Darfur issues. Public pressure was raised against the countries in alliance with the Sudan government, focusing lately on China and its hosting of the Olympics. Athletes, normal citizens, students, food lovers and bloggers on a global and a local level united to raise awareness and increase pressure on the Sudanese government. You can buy items online through Yahoo! 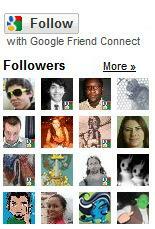 to show your support and you can even see how each US legislator scores on his or her support for Darfur. Many governments responded with pressure on Sudan and several UN resolutions condemned the Darfur genocide (Overview). The African Union sent troops, and UN Peacekeepers were deployed, eventually merging into one, called UNAMID. And still, despite all of this, peace talks have failed to get off the ground, the United Nations-African Union peacekeeping mission will not be fully deployed for months to come, and two-thirds of Darfur's population is dependent on the world's largest aid operation. "The situation is not better than it was five years ago," says Auriol Miller, head of Oxfam in Sudan. "We would still say the situation is getting worse. Humanitarian workers are being targeted and attacked (see this post) in a way that has got increasingly worse over the last few years." "When I last visited the remote, arid region in November, destitute refugees lined up at the Abu Shouk camp, desperate to tell their stories so the world could find out what had happened to them. They spoke of toddlers being burnt alive in villages as men on horseback razed their houses to the ground; of women being raped as they fled their homes looking for safety in the early stages of the conflict. So, if everything else fails, what helps? What is the solution for Darfur? What is the solution for Sudan? More posts on The Road, about Darfur and Sudan. Pictures courtesy Worldfamousphotos.com and WFP. This is an excellent update over Sudan! HOW do you get the time? On another note: Did you read the 'Bang Bang Club', which is so far the best book about, amongst others, Kevin Carter? 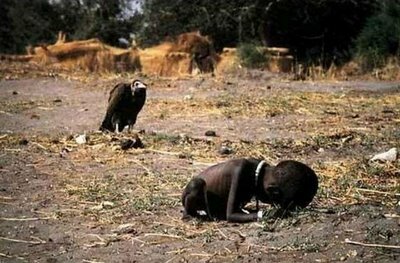 The thing is that we always link Kevin Carter's iconic image with the vulture and starving child to his suicide. And the Manic Street Preachers immortalised him in a song. Which might be part of the truth, but only to some extend. The book draws a more nuanced and very interesting image of a young man in serious trouble, this image or not. Yes, the article gave a bit of a more relativating view of Kevin Carter.... sad story....! I have written about Darfur for last several years, I support the cause of humanity and hope that Sudan will stop this genocide led by Janjaweeds..